Most of my washi tape went right onto the wooden wheel holder, however some of my washi were on centers that were too small in diameter to slide onto the holder dowels. Took a bit of thinking, but then I devised a way to get them all on. 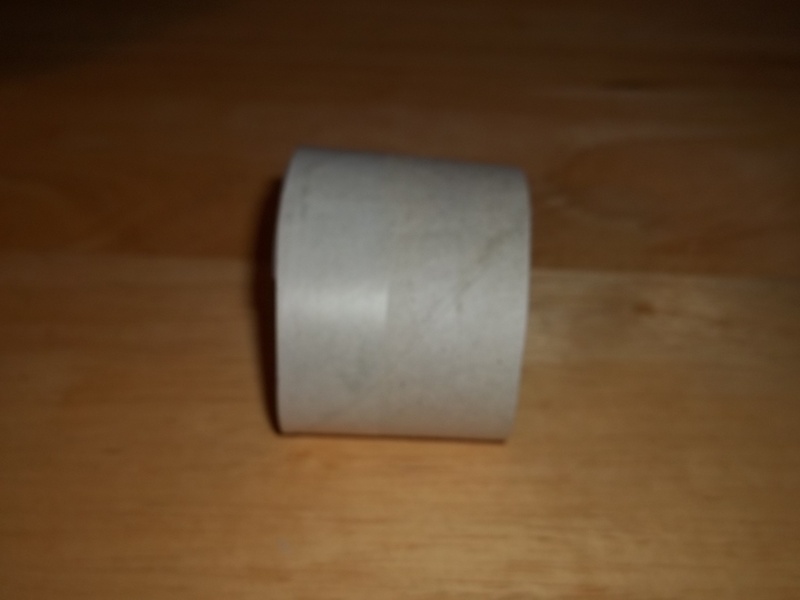 First, take a toilet paper or kitchen-paper-towel tube and cut lengthwise. Second, add a strip of 3/4 inch scotch tape along one edge. Cut along the scotch tape strip leaving a bit extra for holding. 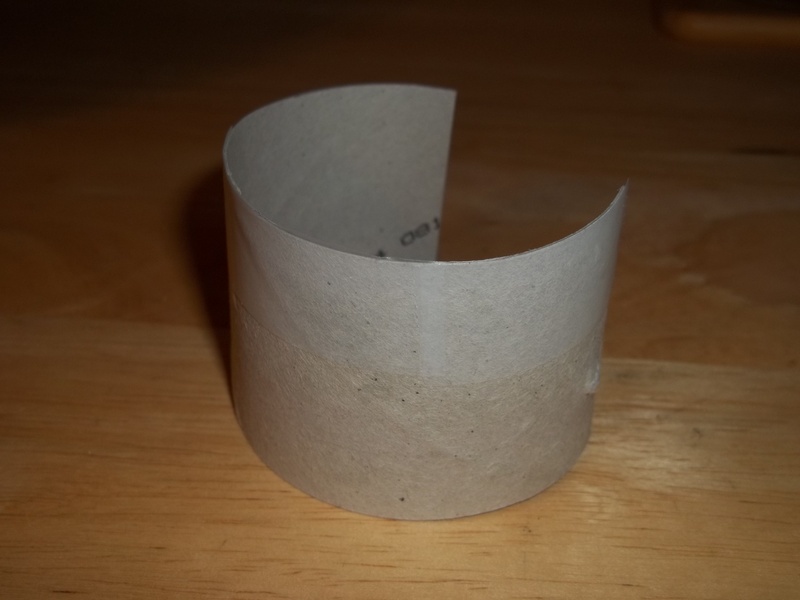 Roll strip into a circle with a diameter measuring about 1 inch and cut off excess. Tape into a one inch circle. 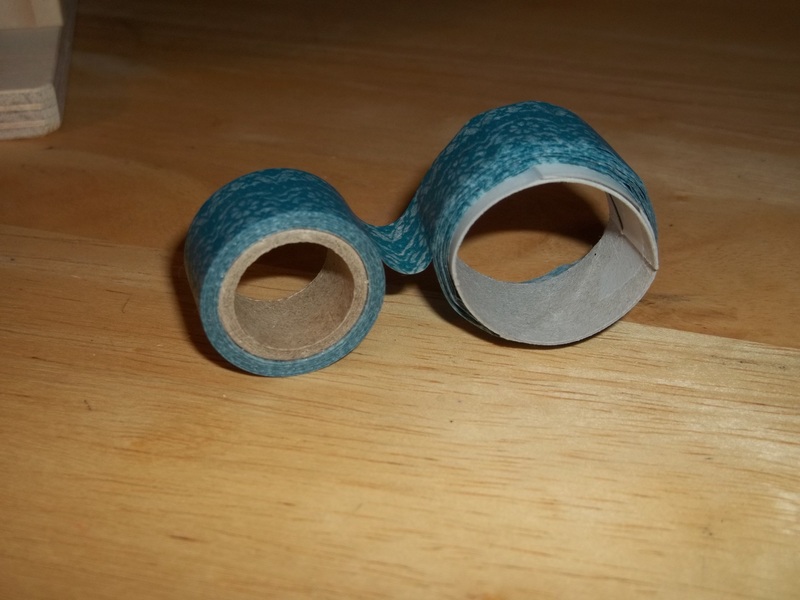 Third, start unrolling the washi stored on a smaller diameter center tube onto your larger just-made toilet-paper or kitchen-paper-towel tube holder. Place it over the scotch tape so it can still be used when you get to the end of the tape. Rotate both slowly and carefully rewind from one to the other (like the scrolling of cassette tapes or movie reels). When completed, cut off the excess on the edge of the roll. It is now large enough and ready to slip onto the dowels of the washi holder to add to your visible and easily used collection available for Project Life or SoulCollage cards. greeting cards, art journaling or other craft projects. Rolls of ribbon can also be transferred in this manner.